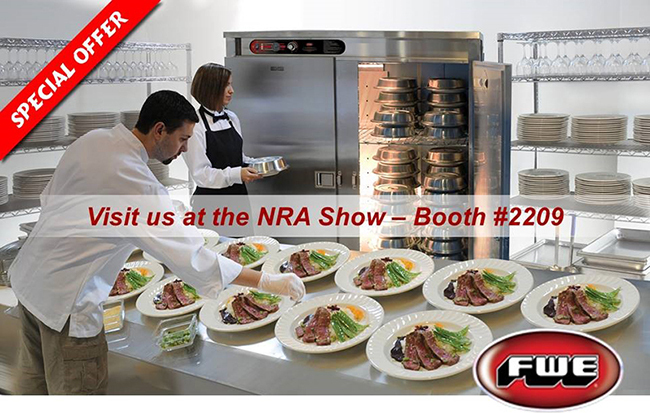 Join us, FWE / Food Warming Equipment Company, Inc. (FWE) at the National Restaurant Association (NRA) 4 day event being held from 21st May to the 24th May 2016 at the McCormick Place Convention Center in Chicago at Booth #2209 for the 2016 NRA Restaurant, Hotel-Motel Show®. Get up close and personal with our custom product specialists who are preparedto provide solutions and resources to help your organization succeed. Highly mobile, extremely durable and built for your needs in mind. FWE prides itself on specialty and custom solutions that others won’t touch and recognizes the value of the special opportunities and custom requests which separates us from the rest. 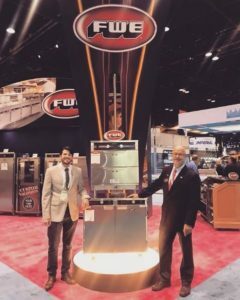 With over 60 years of experience, crafting foodservice solutions across a broad base of applications, customers and markets, FWE has established itself as a leader in Heated Mobile Banquet Carts and Cabinets. 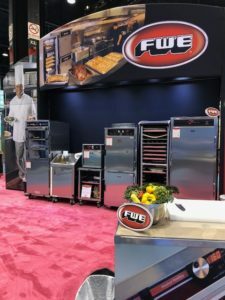 Continuously awarded Best in Class by Consultants, FWE continues to innovate and branch out into related territories including retherm ovens, cook & hold ovens, beverage carts, mobile bars and air screen mobile refrigeration. 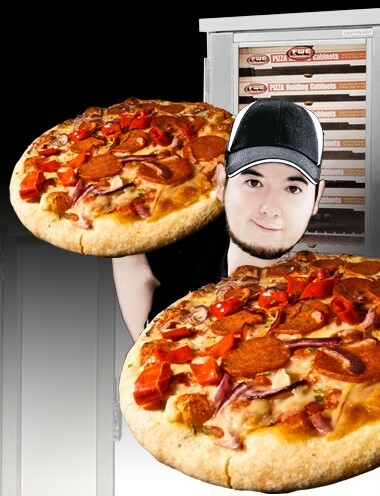 Pizza Days Are Here Again! For the Hottest, Freshest Pizza Pies. Everytime! Everywhere! Check out our Special Offers Here. We are only two more weeks away from the 2016 International Pizza Expo in beautiful Las Vegas, Nevada! 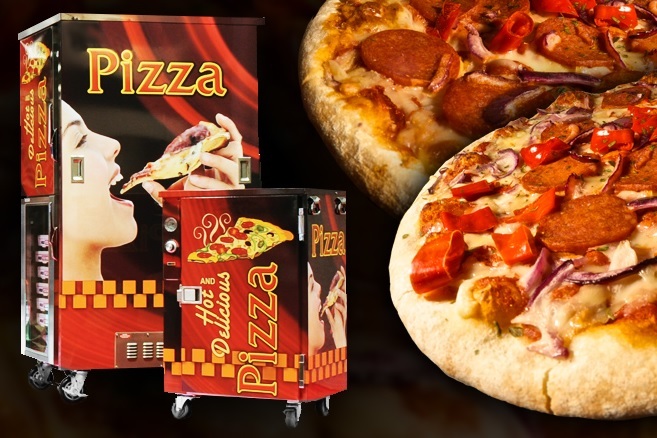 March 8 – 10, 2016 is when Food Warming Equipment (FWE) will be showcasing the very best pizza holding solutions in the business, at the Las Vegas Convention Center in Booth #1851. Every year pizza purveying titans from all over the world gather at the Pizza Expo to network and review the best products and services the industry has to offer and special events like the Pizza Expo Block Party. To keep track of all the events and workshops click here to Download the Mobile App. The Pizza Expo is the place for independent and chain pizzeria owners and managers to one-stop shop for nearly anything needed. Attendees can expand their knowledge on topics relevant to business success during Expo’s more than 90 seminars, workshops and baking demonstrations. You are invited to come see the latest and best assortment of Pizza Holding Solutions in the industry. 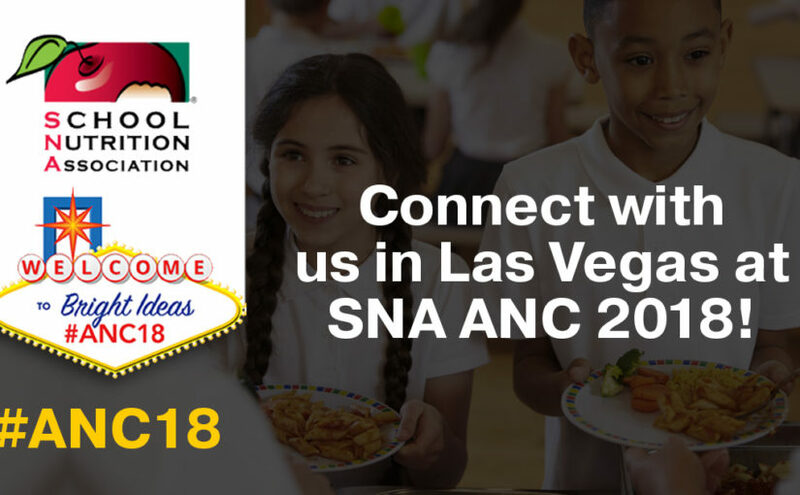 Once again, FWE is at the School Nutrition Association’s (SNA) Annual National Conference (ANC) from July 12th –15th, 2014. That’s the name of the game at the 69th Annual National Conference (ANC) where more than 6,000 attendees, including school nutrition professionals, industry members and allied organizations gather to experience a conference that will surely be one of the most informative, engaging and exciting that SNA has ever offered. This year FWE has put together a special selection of our most popular models for academies and schools, k-12 and beyond. Our School Foodservice Equipment Special is, for a limited time, offering a discount of 12% – 17% on select equipment essential for any school kitchen or line. 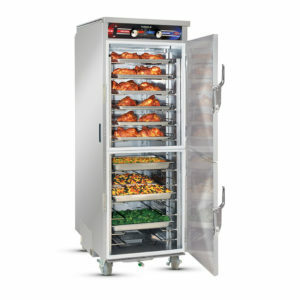 Our heated holding cabinets come in a variety of sizes, keeping food hot, safe and nutritious. 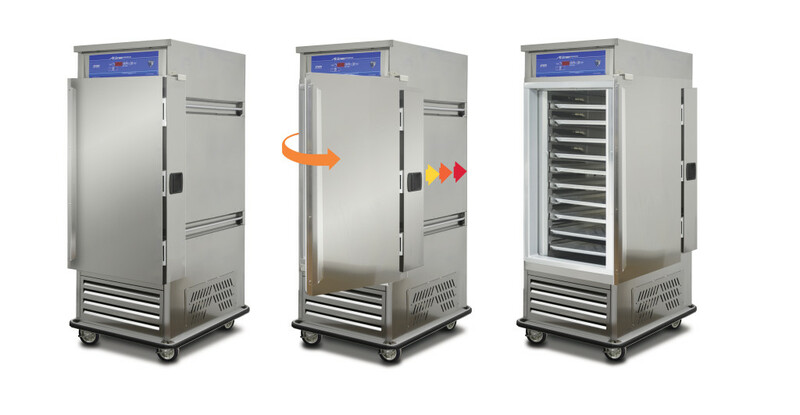 With so many features and options available FWE has the right solution for you and accommodate the particular needs of school foodservice professionals everywhere. Click here to check it out and save now. With FWE’s quick ship program, you can have necessary essential equipment to your schools in 48 hours or less. Click here for a PDF of our latest promotion. School orders must accompany an FWE quote with your school name. All PO’s from dealers and distributes must be submitted, with the school’s name by October 31, 2015 for immediate delivery. Explore, learn more and click here for out latest offerings. 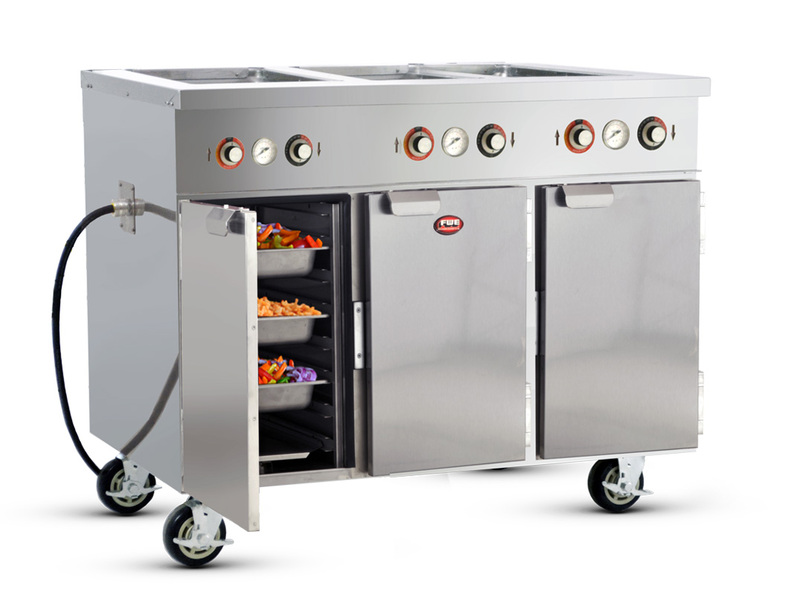 Now foodservice personnel can experience improved workflow even in confined spaces with FWE’s R-AS-10 Mobile Refrigerated Air Screen that features an optional sliding space-saver door. Kitchen workers can fully open the door without requiring a 270º swing radius that overlaps nesting equipment units. Just open the door to 90º and simply tuck it into the side of the Air Screen where it virtually disappears. 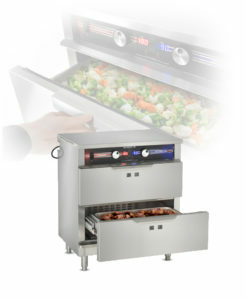 It’s perfect for foodservice kitchens that use a tray line configuration or pod-style assembly. 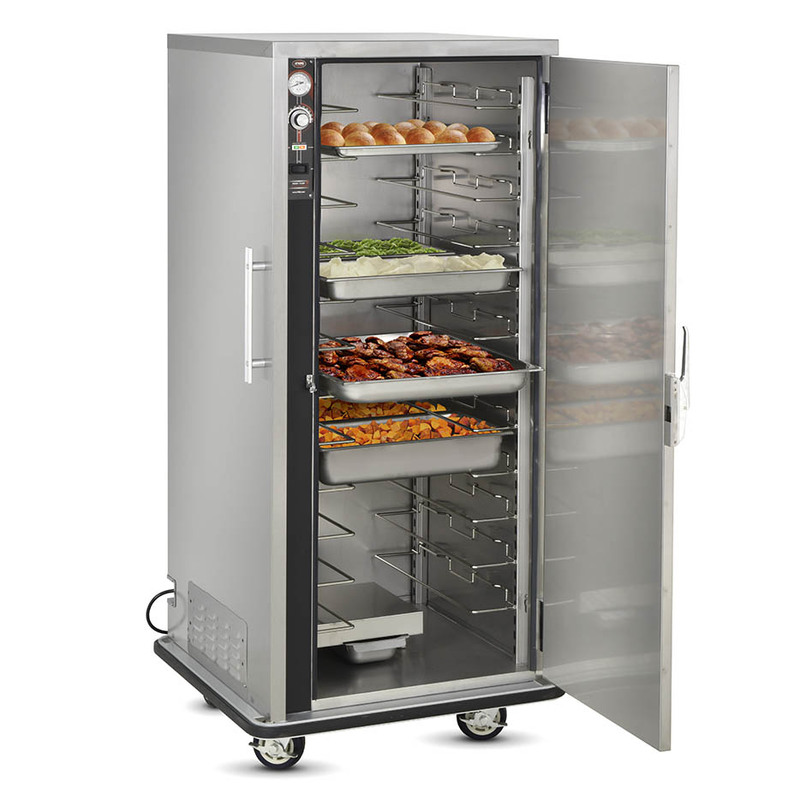 FWE’s R-AS-10 Mobile Refrigerated Air Screen is designed for hospitals, nursing homes, schools, in-flight and other tray line operations. Its multi-fan system provides fast cool-down times and maintains cabinet temperatures with the door open for up to 90 minutes. Easy-to-use intuitive controls and highly accurate, oversized, high-demand components assure rapid pull-down times and recoveries. Uniquely designed tray slides hold trays and pans by the bottom for greater support and are removable for thorough cleaning. 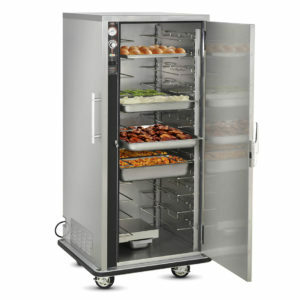 The Air Screen unit can also be used as a standard reach-in refrigerator when the tray line is closed. For solutions like this and many others, come see us at the National Restaurant Association (NRA) Restaurant, Hotel-Motel Show® on May 21st – 24th, Booth #2209, at McCormick Place in Chicago, IL. Portland,Tenn. 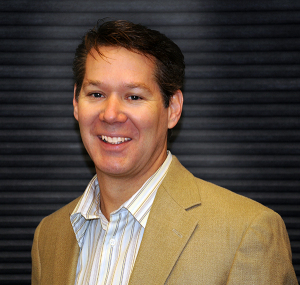 (March 2, 2015) – The North American Association of Food Equipment Manufacturers (NAFEM) has elected Deron Lichte to the board of Directors. The board members are elected by existing members. Newly elected members serve three-year terms. Deron is a seasoned NAFEM volunteer, having worked on various committees and task forces throughout his service to the organization. 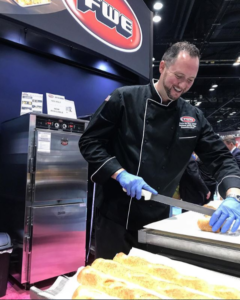 NAFEM is a trade association of more than 600 foodservice equipment and supplies manufacturers providing products for food preparation, cooking, storage and table service. 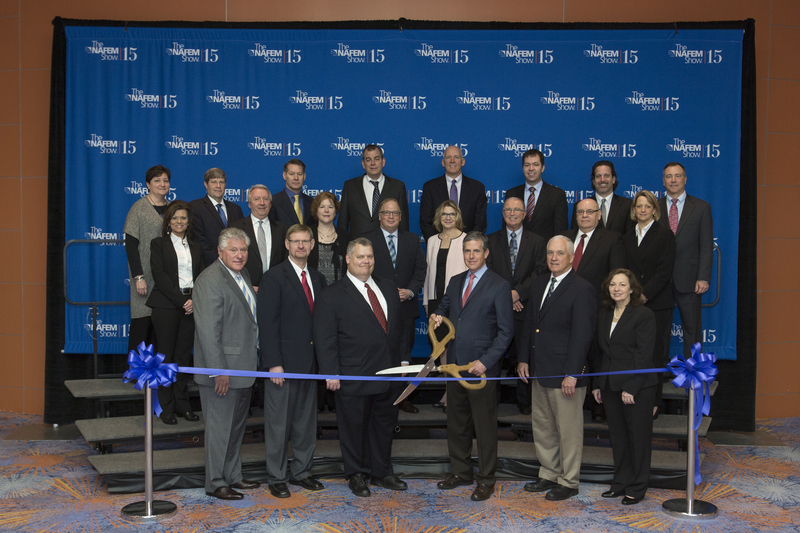 For more information, visit www.nafem.org. Deron Lichte, President of FWE / Food Warming Equipment Company, Inc.
Deron Lichte joined Food Warming Equipment Co., Inc (FWE) in the ‘80s in general administration, working through the ranks to President until purchasing the company in 1994. His first official board meeting will be in June. He was nominated to run for a seat on the board because of his years of engagement in NAFEM, volunteering/serving on committees and attending NAFEM-hosted events. Visit Booth #1157 at the Pizza Expo to see every solution your pizzeria needs to serve fresh, hot pizzas. Food Warming Equipment (FWE) will feature a number of Heated Holding Cabinets at this year’s Pizza Expo in Las Vegas. Among them are the company’s patented Humi-Temp Pizza Cabinets that eliminate hot & cold spots by circulating hot, moist air throughout the cabinet. Pizza operators control the moisture in order to achieve the perfect results they want – whether it’s crispy thin crust or a thick deep dish that melts in your mouth. 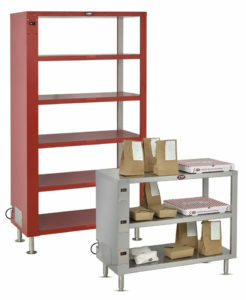 From display units to under counter units to full size units, FWE has a cabinet for everyone. 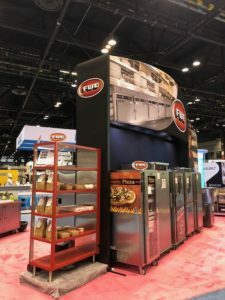 FWE can even provide custom graphic solutions that wrap around their cabinets and include everything from logos to photos and text. Perfect for advertising and promotions. On the cooler side of things, FWE will feature their Commercial Refrigerators that stand up to the most demanding and punishing environments. 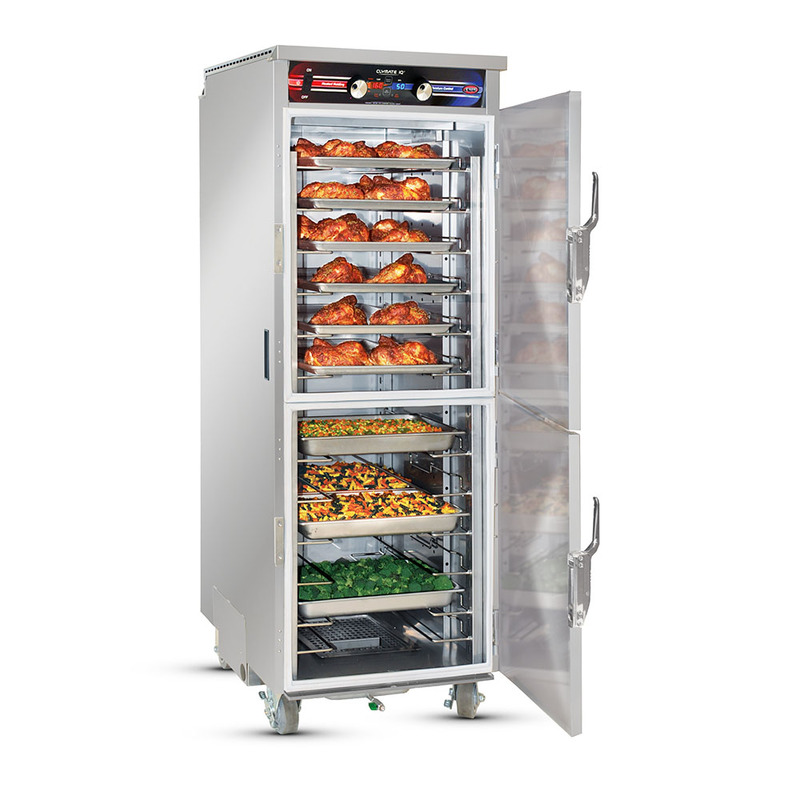 Using a forced air “Cold-Temp” system that maintains balanced temperatures, FWE Refrigerators also have exclusive “Food Sentry” controls that offer the ultimate performance and accurate cabinet temperatures. 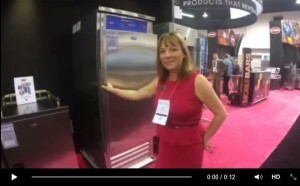 Stop by and see it all at the Pizza Expo – Booth #1157. Or email sales@fwe.com for more information with our foodservice professionals.